Zhou Xun: Painted Skin - Zhou Xun: "the demon is not absolutely evil"
Painted Skin - Zhou Xun: "the demon is not absolutely evil"
Chinese horror films are not known for being particularly terrifying, but in a new release out Friday, director Gordon Chan pushes the boundaries. The spooky thing is, it's a love story, writes Xu Wei. The US$15 million budgeted film starring Hong Kong action idol Donnie Yen, mainland heartthrob Chen Kun and actresses Zhou Xun, Sun Li and Vicki Zhao is set for release on Friday throughout China, Singapore, Malaysia and Thailand. "In my eyes, the love triangle involving the two women and a man is the soul of the story," Chan says. "Pu's original novel is not all about ghosts. It provides an insight into personalities, ethics and delicate human relations." Throughout the film, Zhou appears in dozens of different costumes to show off her charm and witchcraft. Sun, who is better known for playing tender females, challenges Zhou in her role as a swordswoman. "I take on a more masculine look in a black hat and coarse cloth," Sun says with a grin. "My former training in dancing helped me to master the martial arts scenes." Sun notes that Chan managed to explore her potential for some other roles. Her ghost-catcher character experiences the hard psychological process from hatred to forgiveness. As for Zhou, the challenge was to grasp the emotions, reactions and posture of a fox demon. "I had to imagine myself being an animal," Zhou says. "Moreover, the demon is not absolutely evil. She has a juvenile attitude about love. I am glad that the ending of the movie is hopeful, not that cruel. The character finally gives up something for the sake of her lover." 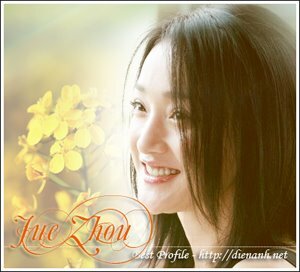 Zhou's impressive performance in the new romance film "The Equation of Love and Death" has also brought her wide acclaim. In the offbeat love story, Zhou plays an ordinary cab driver who spends four years searching for her missing fiance. The cinematography for "Painted Skin" was handled by award-winning Hong Kong cinematographer Arthur Wong, best known for his work in "The Warlords" and "Temptation Of A Monk." Unlike many other ghost films, Wong bravely applies striking and lively color to create an eery and "inauthentic" ambience. "What we're trying to present is a non-traditional thriller," he says.